All photos by Melodie McDaniel. 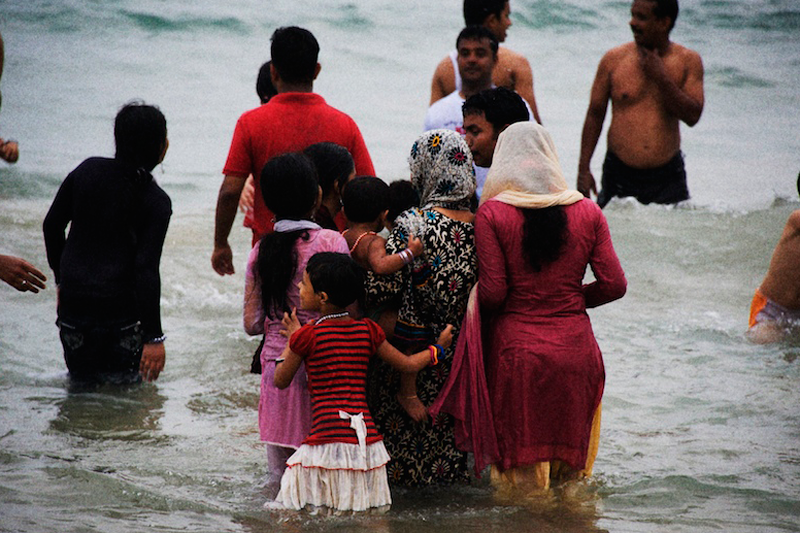 Melodie McDaniel's India photos feel like postcards crammed with a thousand words. 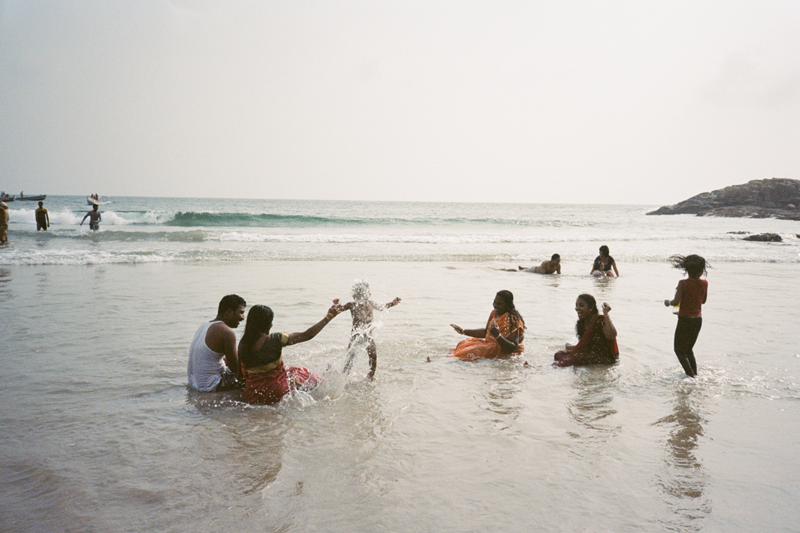 The L.A.-based photographer lends a tinted view to the beaches of Kerala, and the people who give the place its energy and color. We asked her to tell us what she sees behind the lens. 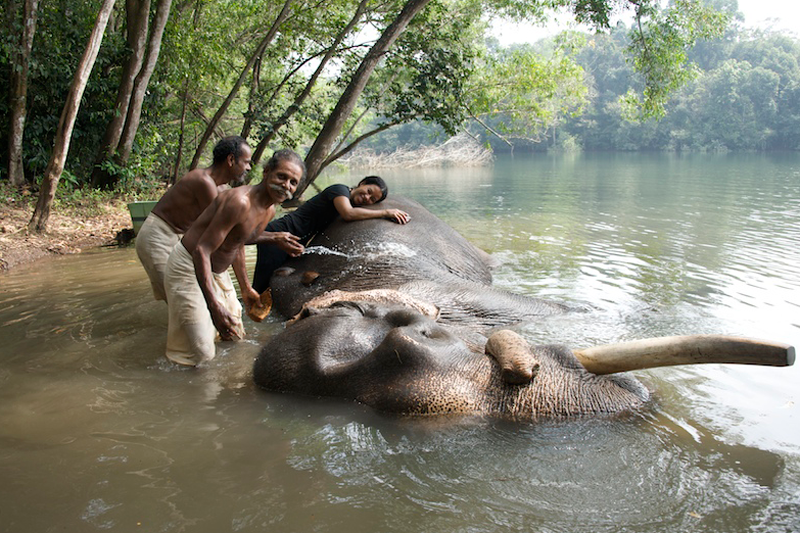 KERALA, India – When I arrived in Kerala I was engulfed by the energy. But the persistent beeping of horns from motorbikes and rickshaws soon faded into the background like some familiar song. I brought my camera, expecting to snap a few photos while having a relaxing Ayurvedic retreat with Dr. Sambhu. Needless to say, the camera became my sidekick. There were too many things that needed to be captured: the beautiful beach of Kovalam, the local craftsmanship of dhotis and saris, the elephant rehabilitation center (a volunteer program where people help bathe, feed, and care for pachyderm without cages, chains, or fences). One of the most moving things about India is how people show their affection for one another. 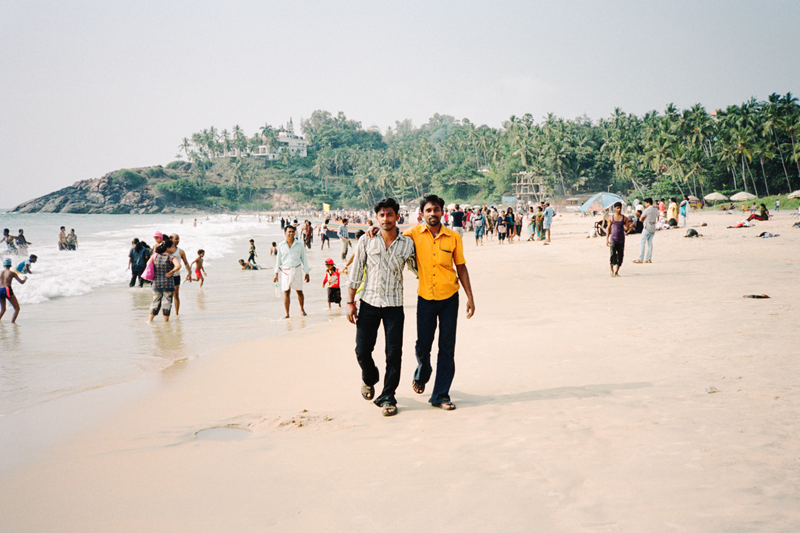 While walking on Kovalam Beach, I took note of men holding hands and sharing embraces. 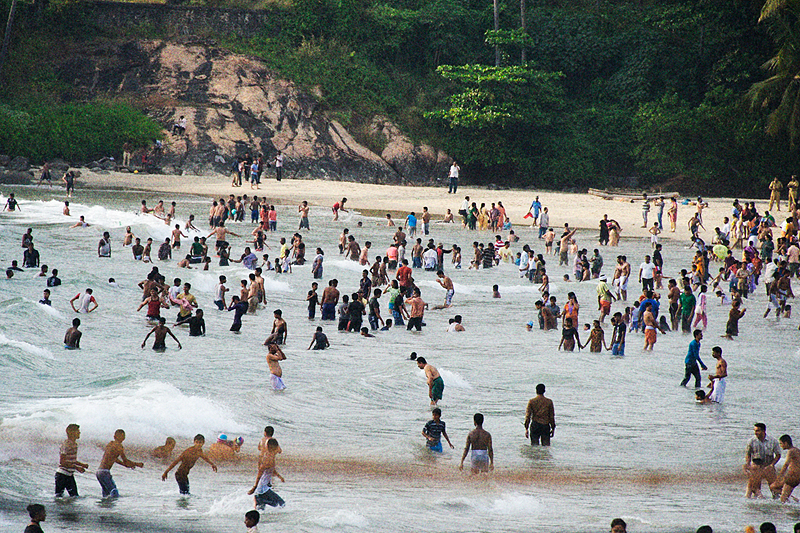 The majority of people swim and wade in the water while fully clothed. 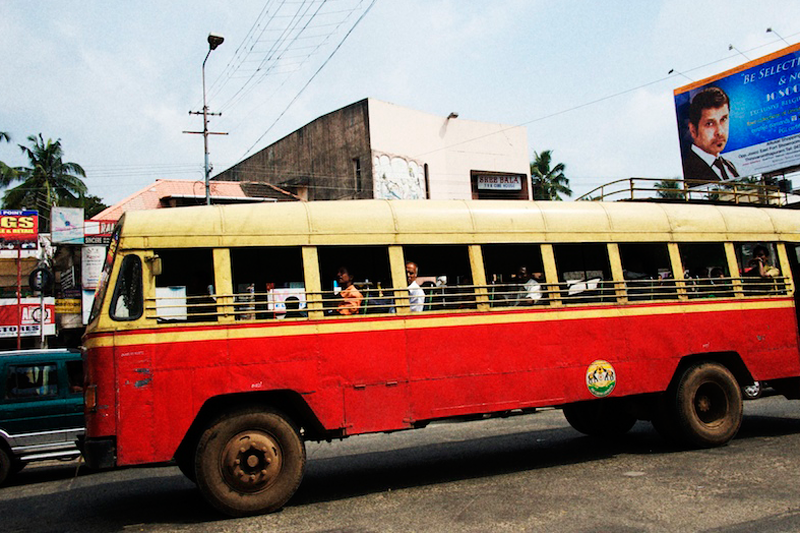 Thiruvananthapuram (formerly Trivandrum), which is the capital of Kerala, is a great nearby city for souvenir shopping. There are many markets that provide clothing, gold, and local crafts. The colors of the city seem to have been tweaked to the brightest versions. Local markets are especially vibrant. The smell of fresh cut flowers, mixed with incense and spice, took on a life of its own. I felt like I was continually sipping a spicy chai tea. I went to the market for the fresh catch of the day: tandoori white fish with chopped ginger, lemon, and garlic mixed with vegetable biryani, and fresh cumin. There's a bread you can only get locally, called kerala paratha. Normal paratha are these greasy fried things, but kerala paratha is soft and doughy. I liked a thin bread called chippata, though Kerala's dhal was also a winner. India is a spiritual ground for optimism. You can hear it in the calm cadence of people's breathing, that faith is at the core of culture. People paid homage to temples, and flooded them like it was a day of special celebration. 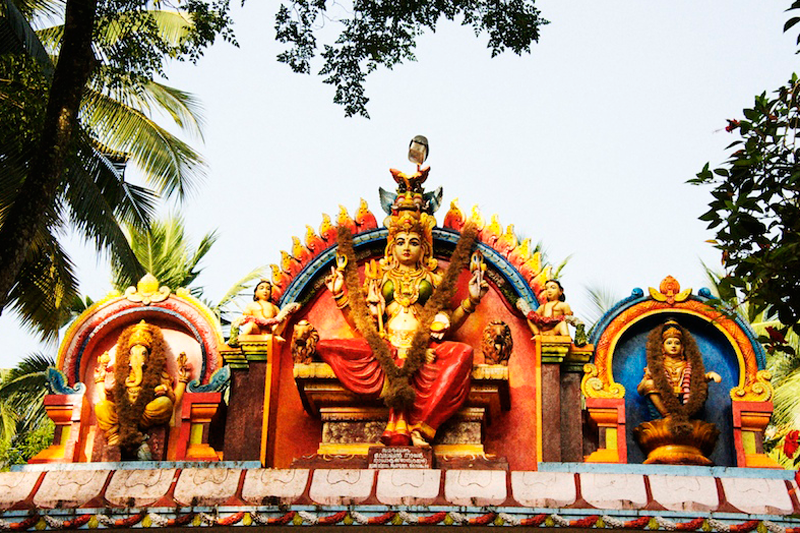 The Attukal Devi Temple in Kerala evoked a mix of emotional responses: happiness, love, excitement. All at once I felt calm, settled, yet energized by the bright colors. I imagined a child accessing the coloring book of the gods, pressing firmly and drawing thoroughly with each crayon. Melodie is a photographer and filmmaker. She travels for the spirit of all unique things.